Our Green Aisle brand of products started out of need. 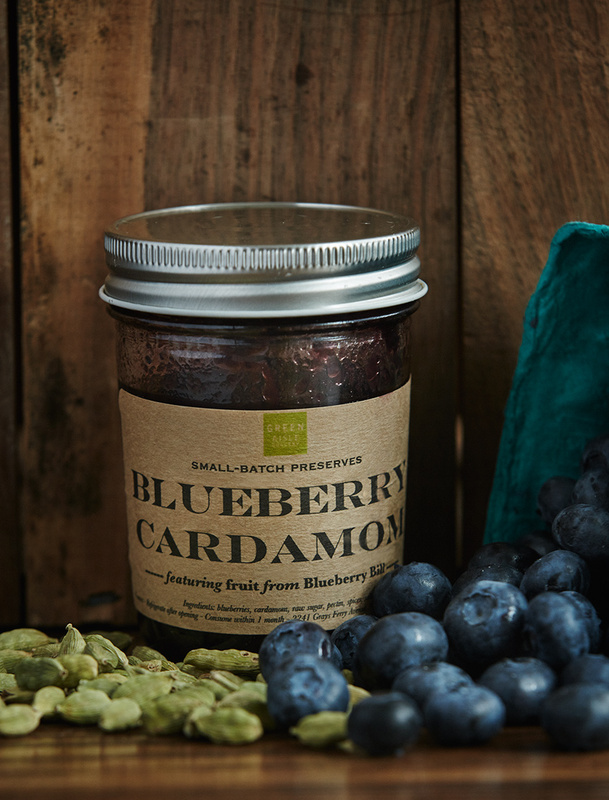 >> A need for jam, specifically, because what kind of gourmet grocery doesn't sell nice jams? But after being open more than a year at our first shop, we had yet to nail down a consistent local source producing preserves according to our standards. So we started doing it ourselves, learning on the go and creating flavors like Blueberry Cardamom, Sour Cherry Stormy and Miso Shiso Plum. The line has grown to include pickles, fresh ground nut butters, double fermented hot sauces, kimchi, finishing salts and sugars, shrub concentrates, cocktail syrups, infused honey and maple syrup, and much more. >> Looking for wedding favors, hospitality amenities or corporate gifts? We do that, too! Send us an inquiry. Local fruits and vegetables grown by certified-organic farms or uncertified farms that grow according to organic and/or IPM practices. Citrus is the only exception, which we source from a certified-organic, certified-biodynamic farm in Southern California.